NCIF bags US Congressional Citation, Houston City Proclamation. 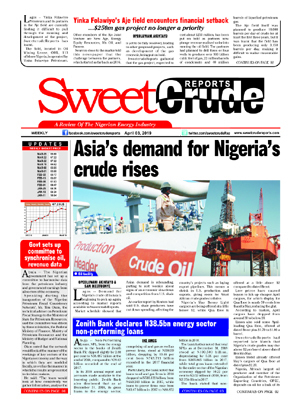 Sweetcrude is a review of the Nigerian energy industry. The publication has evolved to become the voice and watchdog of industry, reporting all spectrum of the energy chain in-country and serving as an interface between the Nigerian energy industry and that of Europe, the Middle-East and the American continent.